It is no secret that our genetic code (DNA) is an extraordinarily complex thing. 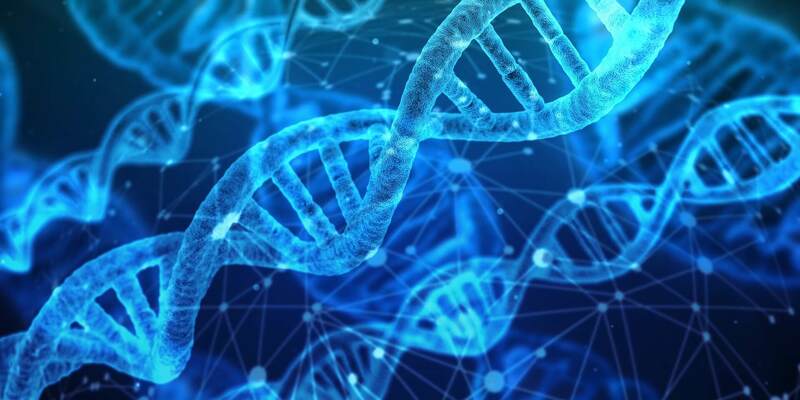 Scientists around the world have been making breakthroughs into how our DNA works, and one of the most important is the importance of trace minerals to DNA. Our DNA determines everything about our physical bodies, from the smallest hairs to the largest organs. It contains every instruction for life, our bodies, and our health. So how important are trace minerals to our DNA? This life-giving DNA instruction set depends on trace minerals to maintain it’s integrity and copy itself properly. Trace minerals are quite literally the building blocks of DNA. There are currently sixty-four recorded trace minerals needed for each and every copy of our DNA, and each of those minerals serves a very specific vital function in keeping our health and ability to heal optimally engaged. 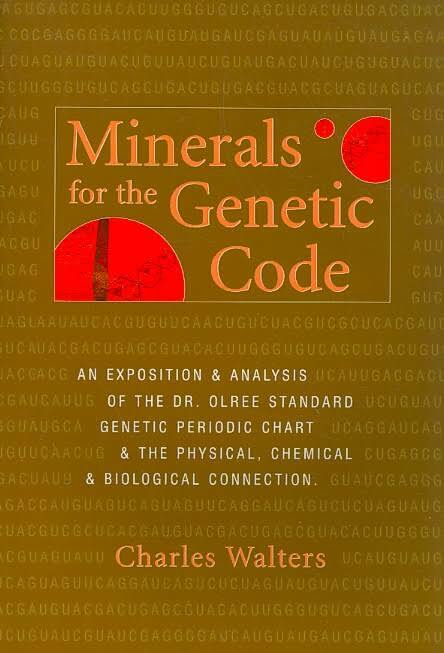 Dr. Richar Olree, a leading specialist in genetics and their effect on DNA, has been quoted in a book by Charles Walters called “Minerals for the Genetic Code“. You can read and reference a very short synopsis of his work by the Nutrition Therapy Institute here: Dr. Richard Olree: Minerals for the Genetic Code Dr. Olree’s work points out the vast importance of minerals to the human genetic life cycle. This book contains ground-breaking research about how and why our food sources are deficient in vital trace minerals. It also gives detailed descriptions of mineral deficiencies and points to them as the root cause of many chronic diseases. As you can see from the few examples above each trace mineral serves an important role in our vital health with trace mineral deficiencies leading directly to health problems in a very real way. According to Dr. Olree, when our body runs out of the various trace minerals it needs the effects can be devastating. He explains that trace mineral shortages are the root cause of many diseases and maladies. As per Dr. Olree, an adult’s body is made up of an extraordinary fifty trillion cells of which one percent die and need to be replaced every day. That is an astoundingly large number of DNA copies made every single day. As you can imagine, when we are short of the building block trace minerals, the copies have issues, and health problems abound. In addition to outwardly visible problems, our body’s natural abilities to heal are shut down due to lack of the trace minerals that allow the instructions to be properly encoded. When our cells run out of the necessary supply of trace minerals, they substitute other similar replacement minerals into the code as a temporary measure to keep functioning and keeps us from dying. This replacement mineral strategy turns off parts of the genetic code. 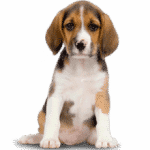 The instructions for healing are still there, but cannot be accessed because the mineral deficiency causes them to be blocked. This can lead to all kinds of maladies, some as simple as pre-mature aging, or as complicated as tumors, cancers, and other aggressive diseases. Once the proper trace mineral balance is restored, these healing pathways and instructions are able to kick-in and do their job. The Delivery of Trace Minerals Matters! For many years I used to believe I could get all the trace minerals I needed from my diet by adding a bit of Sea or Himalayan salt. While many of the necessary minerals exist in those salts they are not in the right format which makes them useful to the body. The reality is that plants and soil bacteria are a necessary part of the journey that minerals need to go through to be changed into a properly absorbable trace mineral form. The plants and soil bacteria transform the electrical signature (valence) of the minerals into one that is compatible and attracted to organic life. This transformation happens in plants during photosynthesis as sunlight changes the electron valence of the absorbed minerals into one that is more compatible with living tissues. Using this knowledge I have personally changed my diet based on Dr. Olree’s research to help myself get over chronic spinal pain and migraines. I highly recommend his book to anyone suffering from chronic illness or pain. 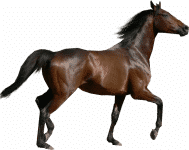 By supplementing the right minerals into my diet, and adding the appropriate foods also high in those minerals, and by adding trace mineral supplements to my daily regimen I have effectively improved my health and dramatically lowered my back and neck pain. One of the biggest keys to this delivery system is a product I’ve been testing for the last few months: Nzymes Tracite Minerals. Tracite supplies over 70 trace minerals and elements imparting a steady charge of bioelectrical energy. Tracite is a super transport system for nutrients. You can feel the difference, especially if you take supplements. These Tracite Minerals, when combined with enzymes, form alkaline detoxifying agents. Minerals like iron and zinc supply energy to the body. Tracite is an iron-based, plant-derived trace mineral rich in chromium, vanadium, selenium, and boron. Tracite is easy on the stomach and helps your internal flora thrive by providing necessary nutrients. The list of attributes from this amazing product leaves nothing to the imagination! If you want to feel better and be your best self, start using Tracite Minerals today!